Applications are invited through online mode only up to 24.04.2015 for direct recruitment to the vacancies in the following posts in the Department of Indian Medicine and Homeopathy included in Tamil Nadu Medical Service (Service Code:048). A.The number of vacancies advertised is only approximate and is liable to modification including reduction with reference to vacancy position at any time before finalization of selection. B.The Rule of reservation of appointments applies to the posts by direct recruitment to each of the systems of Siddha, Ayurveda, Unani and Homeopathy separately as per the rule in force. C.As per the orders issued in G.O.Ms.No.53, Social Welfare & Nutritious Meal Programme Department, dated 11.04.2005, and as per the orders issued in G.O. (Ms) No.25, Welfare of Differently Abled Persons (DAP2.1) Department, 14.03.2013 OA/OL (OA- One Armed / OL – One Legged) categories of differently abled persons alone are eligible for reservation applicable to differently abled persons for the post of Assistant Medical Officer (Siddha, Ayurveda ,Unani and Homeopathy). Hence, the 3% reservation to DA persons will apply to the OA/OL categories of differently abled persons only in this recruitment. However, no turns earmarked for differently abled Persons categories arise within the turns notified for the post of Assistant Medical Officer (Ayurveda and Unani). The differently abled persons should upload a copy of certificate of physical fitness specifying the nature of physical handicap and the degree of disability based on the norms laid down from the Medical Board to the effect that his/her handicap will not render him/her incapable of efficiently discharging the duties attached to the post to which he/she has been selected before appointment when called for by the Tamil Nadu Public Service Commission. The Differently Abled persons should upload the documents referred to in para 14 (f) of the Commission’s “Instructions to candidates”, when called for. D.In G.O.Ms.No.145, Personnel and Administrative Reforms(S) Department dated 30.09.2010 the Government have issued Orders to fill up 20% of all vacancies in direct recruitment on preferential basis to Persons Studied the above prescribed qualification in Tamil Medium. Revised turns for PSTM was ordered in G.O. (Ms.) No.40, P & AR (S) Department, dated 30.04.2014. The 20% reservation of vacancies on preferential allotment to Persons Studied in Tamil Medium (PSTM) will apply to this recruitment. The above said reservation will be made applicable to candidates who have acquired the prescribed qualification for the post by studying the said course in Tamil Medium, and should have the certificate for the same. Having written the examination in Tamil language alone will not qualify for claiming this reservation. If PSTM candidates are not available for selection for appointment against the reserved turns such turn shall be filled up by Non-PSTM candidates but belonging to the respective communal category. E.Even after filling up of the posts reserved for SC Arunthathiyars on preferential basis, if more number of qualified Arunthathiyars are available, they shall be entitled to compete with the Scheduled Castes other than Arunthathiyars in the inter-se merit among them and if any posts reserved for Arunthathiyars remain unfilled for want of adequate number of qualified candidates, it shall be filled up by Scheduled Castes other than Arunthathiyars. F.If no qualified and suitable women candidates are available for selection against the vacancies reserved for women, those vacancies will be filled by male candidates belonging to the respective communal categories. G.Reservation for “Destitute Widows” and “Ex-Servicemen” will not apply for this recruitment. Candidates claiming exemption from examination fee should pay Rs.50/- towards application cost. (No exemption for cost of application). Candidates should also to pay the service charges applicable to the Bank or Post Office or Fee Processing Agency. Candidates can avail of the facility of one time registration on payment of Rs.50/- towards Registration Fees. The registration shall be valid for a period of five years from the date of one time Registration. Off-line mode of payment viz., in the form of DD/Postal Order etc., will not be accepted and the fee will not be refunded and the applications forwarded with such modes of payment will be summarily rejected. (For further details regarding the Examination fee concessions refer para 12 of the ‘Instructions to the candidates’). 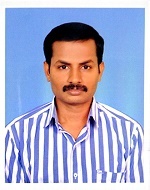 •Candidates should apply only through online in the Commission’s Website www.tnpsc.gov.in or in www.tnpscexams.net. •Before applying, the candidates should have scanned image of their photograph and signature in CD/DVD/Pen drive as per their convenience. •A valid e-mail ID and mobile number are mandatory for registration and email ID should be kept active till the declaration of results. Candidates are cautioned to keep their e-mail ID and pass word confidentially since communications will be sent to the mobile and e-mail ID. •The candidates who wish to receive SMS should register their mobile number in the application. 1.Candidates are first required to log on to the TNPSC’s website www.tnpsc.gov.in or www.tnpscexamn.net. 2.Click “Apply Online” to open up the on-line application form. 3.Select the name of the post or service for which you wish to apply. 4.If you already have Unique ID, enter the Unique ID and password to view the already available information and update them, if necessary. 5.Candidates are required to upload their latest photograph and signature as per the specifications given in the guidelines for scanning and upload of photograph and signature. An online application uploaded without the photograph and signature will be rejected. Note: Candidates who have one time Registration ID (Unique ID) and password have to apply again for all Notifications. One time Registration will not be considered as an application for any post.